Tuesday was the first day of the holiday Bible club. 19 children came and were attentive when Nigel told them about David being anointed king by Samuel. 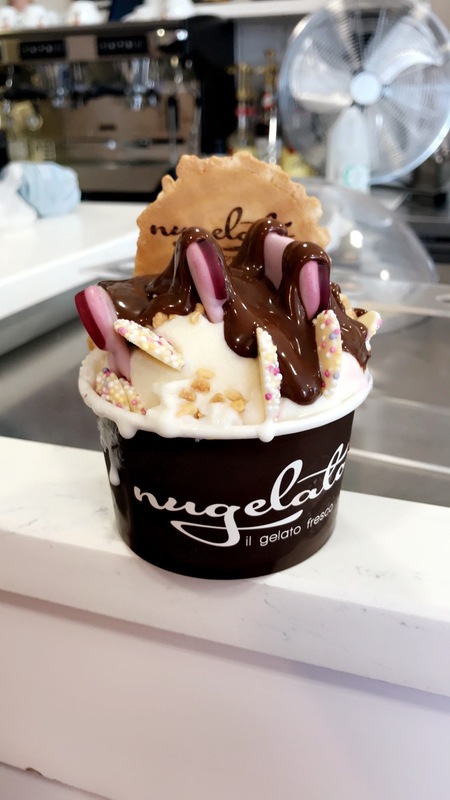 The afternoon consisted of leaflet distribution and a bonding trip to Nugelato. In the evening, we had our summer youth in which 11 teenagers attended. We had a talk from Benjamin on shame followed by biddy up and dominos. Please pray for continued growth in both clubs throughout the week. 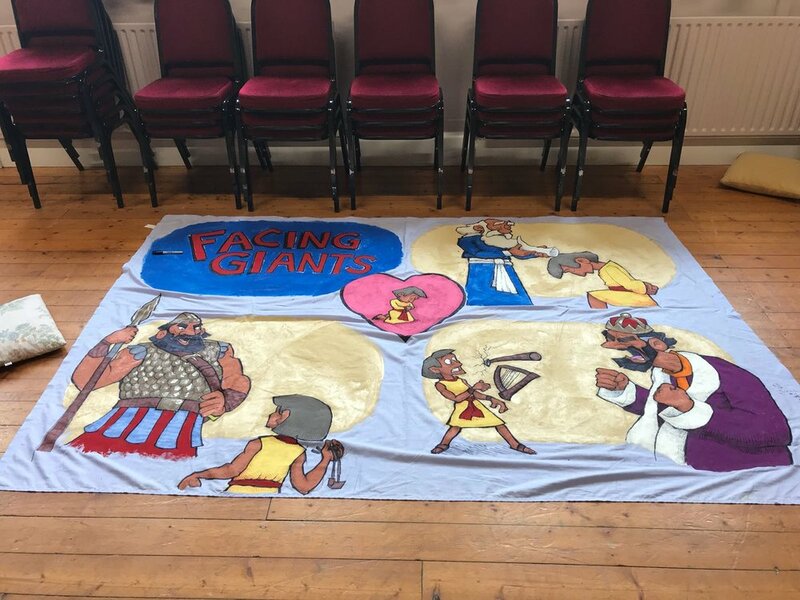 On Wednesday we had 19 kids for the holiday Bible club, where Yvonne taught the children how David trusted God to defeat Goliath. 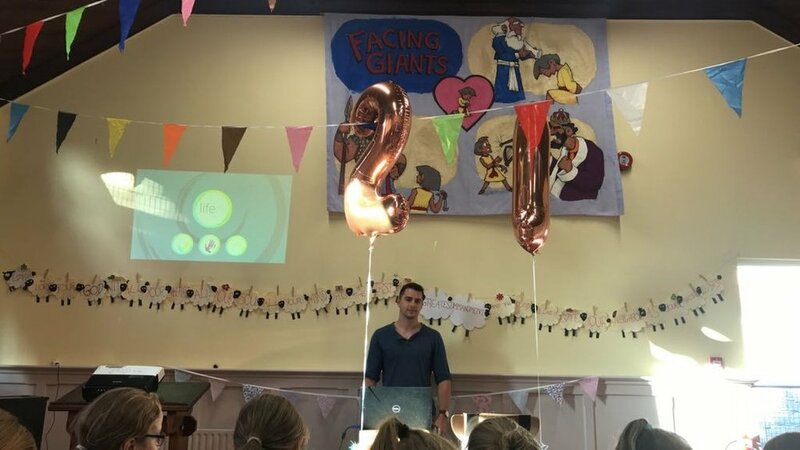 In the afternoon we had a tea party for the locals in the community where some of the members of the team provided light entertainment and Nigel used our "Facing Giants" poster to show how David points us to Jesus. 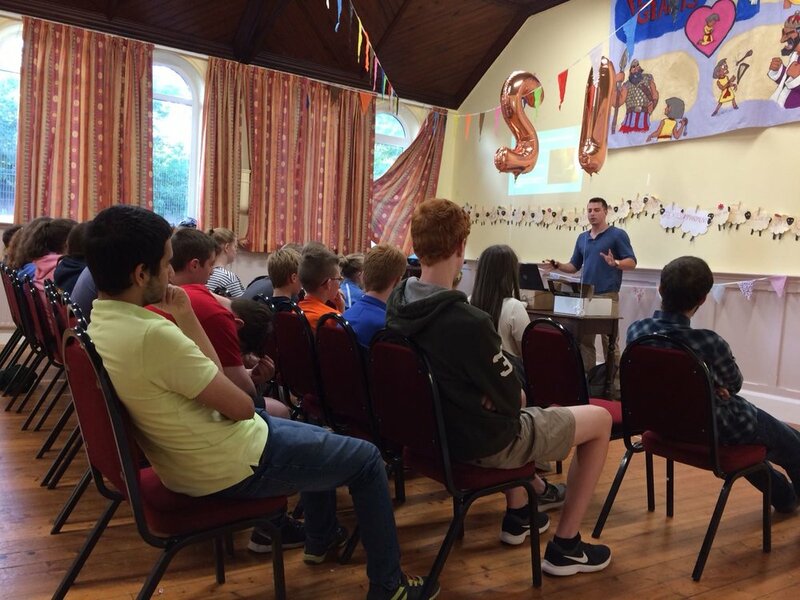 For the summer youth we had 16 teenagers and one of the Newry church members Alan Keenan gave his testimony and spoke on the challenge of atheism which was followed by the apprentice and ice cream sundaes. Newry Go Team were welcomed to Newry at the morning service in Riverside church. The congregation provided a church lunch after the service to enable the members to meet the team. After dishes were washed the team made its way to the home of Nigel and Sandra. A walk to Ballylane church was attempted but most got quite wet and had to turn back. After a pizza tea the team watched a 20 minute video highlighting different understandings of Genesis 1-3. A short discussion took place, after which there was a time of psalm singing. After a time of prayer the team members headed back to their respective host families. Please give thanks for the final days of Holiday Bible Club, where we had up to 16 children, including some we had no contact with before. Give thanks for everyone who came to this and heard the word of God. 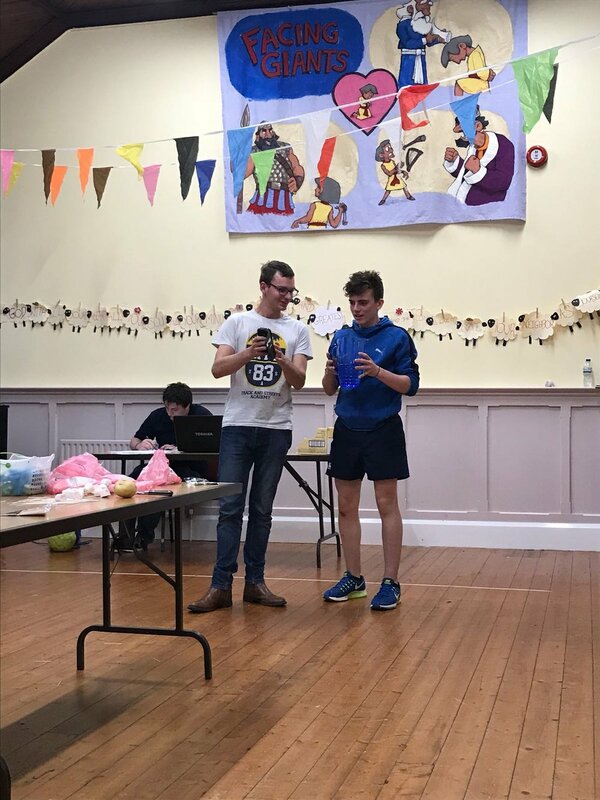 Please also give thanks for 3 great nights of Summer Youth in which our own young people were challenged & encouraged by talks from John Graham, David Matthess & Peter McCollum, followed by lots of fun. Give thanks for a positive reception to street outreach on Thursday where 4you magazines were given to passers by with some ensuing conversations. 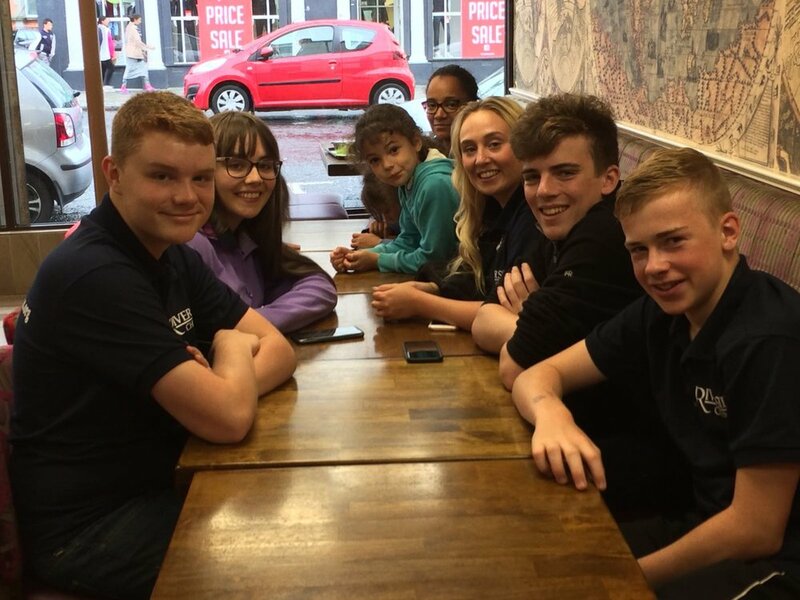 Please continue to pray for the city of Newry that people may respond to the Gospel as presented in the 4you magazine and through various events including the Hebrew Songs & Stories, the Tea Party, the HBC, Summer Youth & street outreach. Give thanks for the many different ways God showed his favour during the team and please pray that it would bear fruit! Yesterday morning we had a group of enthusiastic children running around the hall. Nigel gave a very clear talk on David being anointed king and explained how David was a picture of Jesus Christ as the Anointed One, the Christ, and that just as David, one man, defeated Israel's great enemy, so Jesus, one man, defeated our great enemy on the cross. We are very thankful for the privilege of teaching these children about Jesus! In the afternoon we decked the hall with table cloths and fancy tea sets in preparation for our annual tea party. The room was filled with chatting people, all enjoying the music, tea, buns, and company. The tea party is a great opportunity to share the gospel each year. 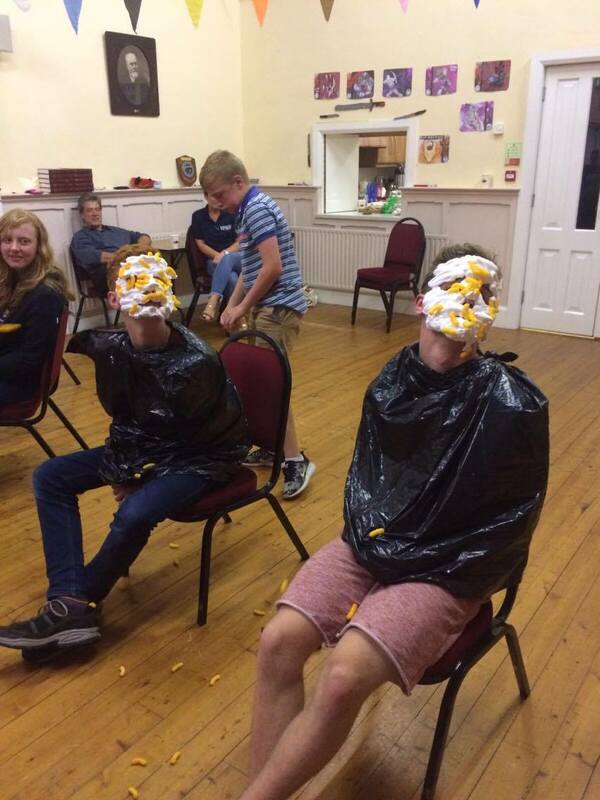 In the evening, our youth group began with lots of fun games and tasty food. The first talk was given by John Graham on Samson, and we learnt many powerful lessons from his life regarding the temptations we all face in our lives and how we must fight them. One important point that was highlighted was that Samson, at the end of his life, prayed for God's strength to return to him, because he was powerless in himself. We must realise that we are powerless and need God to strengthen us to fight the good fight. Paul said in Colossians 1:29 "For I toil, struggling with all his energy that he powerfully works within me." This is what we must all realise when sharing the gospel on go teams: we must pray that God would powerfully work in and through us, or else we're kidding ourselves. This morning, Yvonne Wilson is doing the kid's talk and David Matthess is doing the teen's talk this evening. Please pray for both! Yesterday was a productive day in Newry. The team went around doors this morning delivering 4you magazines and spent time preparing for the Kid's Club which starts on Wednesday morning at 10am. They had plenty of painting, cutting, laminating and planning to do! Please pray for the Kid's Club. Pray that many children would come from the community. 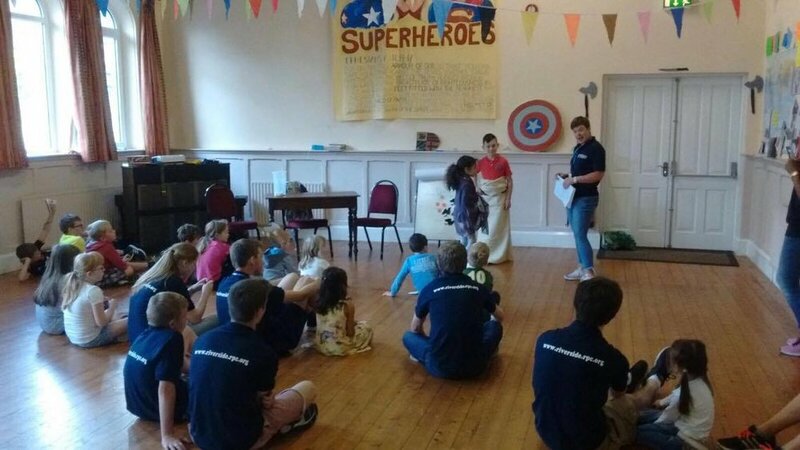 The theme is superheroes from the Bible and Nigel will give the first talk, telling the story of David facing Goliath. Pray that these stories would implant themselves into the children's minds and that they will remember their memory verses. Please also pray that the 4you magazines would be read and people would understand the gospel message they contain. On Tuesday evening Noel McCune recited the books of Ruth and Jonah from memory. This was interspersed with selected Psalms, sung by the team. Give thanks for how people in the congregation brought their friends and Pray that the word of God which was spoken and sung will make a lasting impact on everyone who heard it. Nigel has been doing bible studies with the team this year. He has been showing how it can be shown that the Bible is a record of historical events that actually happened. When we share the gospel with people we need to be sure that the Bible we present to people is 100% true. Knowing how we got the Bible helps to give us confidence in standing on the truths it speaks of, giving answers to people who criticise the historicity and accuracy of the Scriptures. Although the weather was unfavourable we braved the rain, put on our coats and filled our backpacks with the the most recent edition of the 4you.ie magazine. This edition contains a wide range of articles on suffering, assisted suicide, and fake news in a truthless culture. We also made good progress on the decorations in the hall for the Holiday Bible Club which commences on Wednesday. 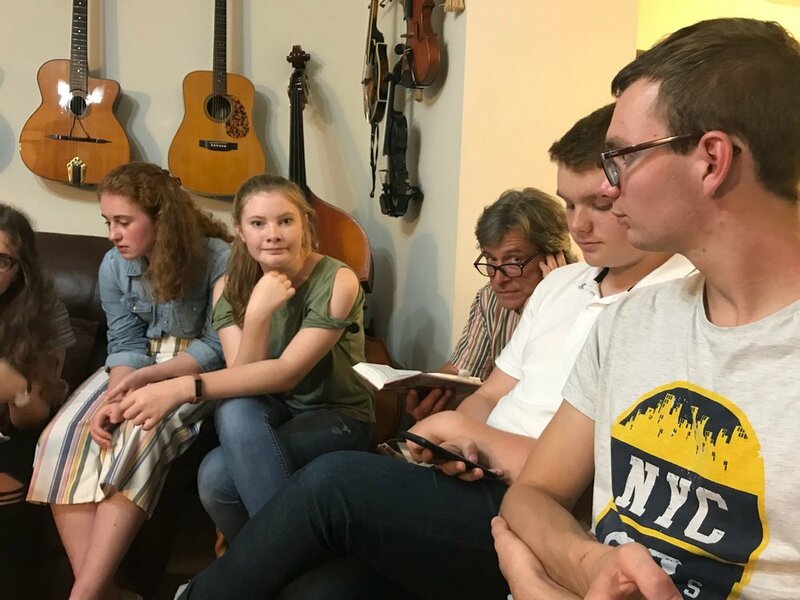 After tea we had psalm singing practice to prepare for Tuesday evenings meeting which will be conducted by Noel McCune, who will recite the stories of Ruth and Jonah from memory.